Round six of the British GT Championship at Silverstone this afternoon certainly didn't disappoint for action and drama. 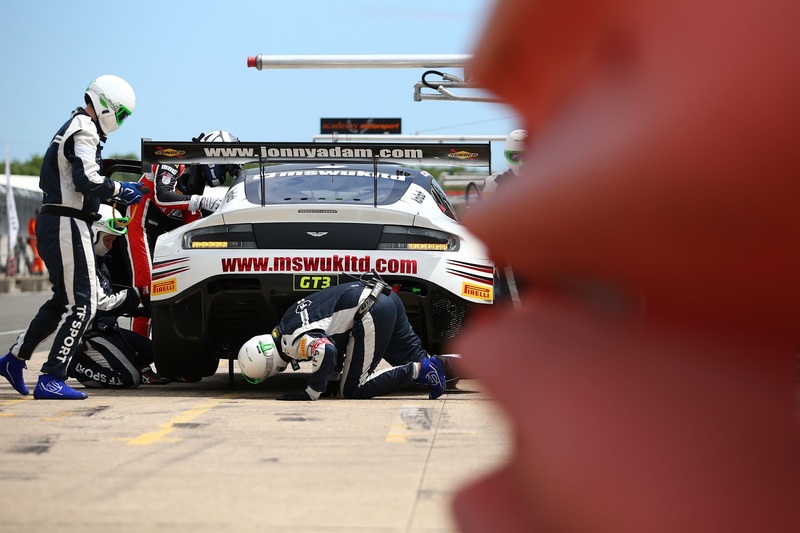 For some of the Aston Martin Racing runners, the three hour Silverstone 500 event cemented their continued progress within the series, others saw their run of bad luck and misfortune come to an end whilst the rest (unfortunately) saw theirs continue! 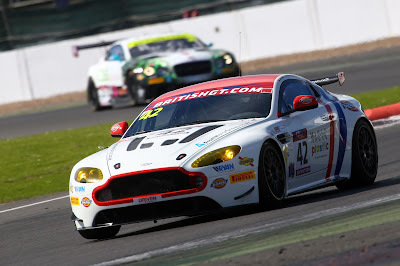 Starting from pole position would be the very impressive Jack Mitchell in his #24 MacMillan Racing V12 Vantage with the two TF Sports GT3's starting P7 and P9 after further difficulties with car set up during Free Practice. The #24's sister GT4 car of Will Phillips would start at their highest position of the year - P2 in class whilst the #62 would start from the rear having only participated within the morning warm up having been racing in Austria up until then. At the start of the race the #31 Bentley would get the jump on the MacMillan car entering Copse corner for the first time in the lead of the race. With there presumably being a change in Balance of Performance prior to the race, the now quicker Bentley soon extended their lead over the #24 by as much as a second per lap whilst the now slower Lamborghini Huracan from Barwell quickly dropped back at an equal rate of knots. Early places were being gained by the #11 TF Sport car of Mark Farmer who soon found himself behind the #1 car of Derek Johnston up until the #1 cars spin out at the loop that dropped him to the bottom of the overall leader board. Will Phillips in the #42 MacMillan GT4 was also pushing for position in his class and soon took the GT4 class lead after just 6 laps just as Will Moore in the #62 Academy car elevated himself from plum last to an impressive P5 in class. Indeed, by the end of the first half hour of racing Moore had transposed the set up data captured from just three laps that they had in morning warm up to push up to P4 - more than making up for the race that he never had in Austria yesterday. At the half hour mark the #1 car of Derek Johnston pitted with what he reported as a possible puncture but was actually a power steering issue that would haunt the car for the rest of the race as even AMR factory driver Jonny Adam would struggle to progress the car up the leader board any further. With the race demanding a minimum of three timed pit stops (plus success time penalties if applicable) some chose to leave their drivers out until the tank was empty whilst others spread the breaks evenly throughout the three hours of racing. With that, the names at the top of the two classes would change constantly as cars artificially inflated or deflated their true running position. With the race reaching the two hour mark James Littlejohn had pitted from the race lead for the teams second time to hand back to Mitchell who returned to the track in P3. Up ahead, the race leading Bentley was involved in contact with Mark Farmer in his #11 car that resulted in Farmer spinning off the circuit at Stowe before being able to rejoin. Upon reflection that error did appear to be of Farmers making. A few laps later a heavy rearward crash for the #7 Bentley at Copse would send many of the teams into Safety Car panic mode bringing their cars (prematurely) back in for an event that would never ultimately happen as the recover was conducted under local yellows instead. The anomalies of the pit stop cycles was brought to bear soon after as then the overall race leader was the #33 Barwell Lamborghini but hey still had two compulsory stops left to go!! With thirty minutes remaining the #24 was back into the lead in GT3 and so was the #62 Academy car in GT4 but importantly both still owed one more stop which were all made moments later leaving a final dash to the flag with the #31 Bentley P1, #24 MacMillan P2 and the #21 Ferarri P3. 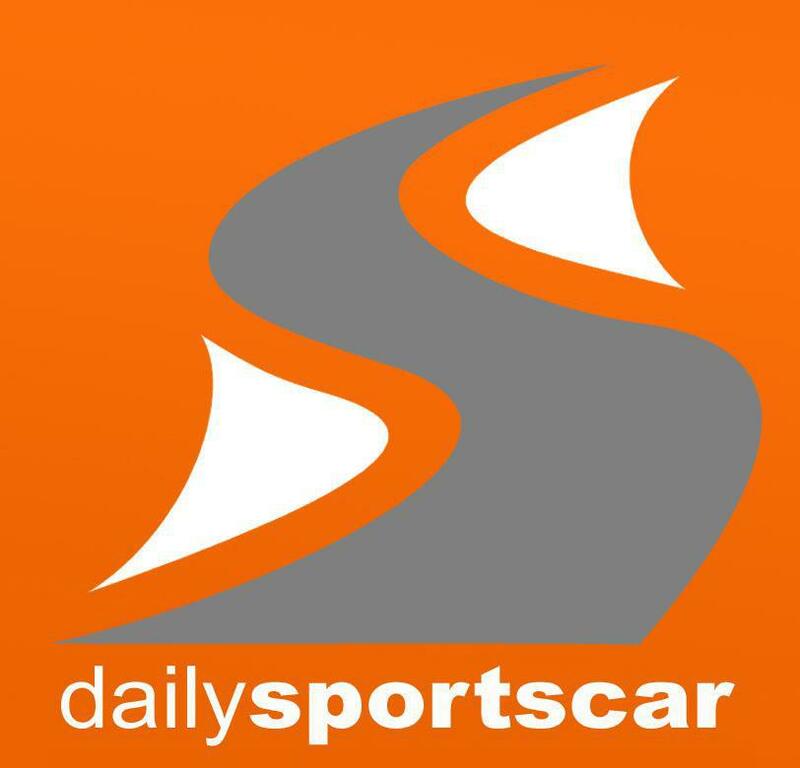 Back in GT4 Matt Nichol-Jones in the Academy car would face a final eight minute battle for P2 in class with ex MacMillan GT4 driver Matty Graham in his In2Racing MacLaren 570s - age and experience would prevail in that come the chequered flag! At the end Silver/Silver pairing Mitchell and Littlejohn secured a comfortable P2 in GT3 despite the additional ballast that is permanently secured to the car to finish one minute behind the Bentley with the Spirit of Race Ferrari completing that podium. That result leaves the #24 car in P4 in the overall championship standings just a point behind the crew of the #21 Ferarri. In GT4 the new for 2017 #72 Track Club McLaren won the race from the non championship points scoring Lotus Evora with the #62 Academy, Nichol-Jones/Moore driven car claiming second in class with the #42 MacMillan car of Will Phillips and Jan Jonck just 18 seconds behind. 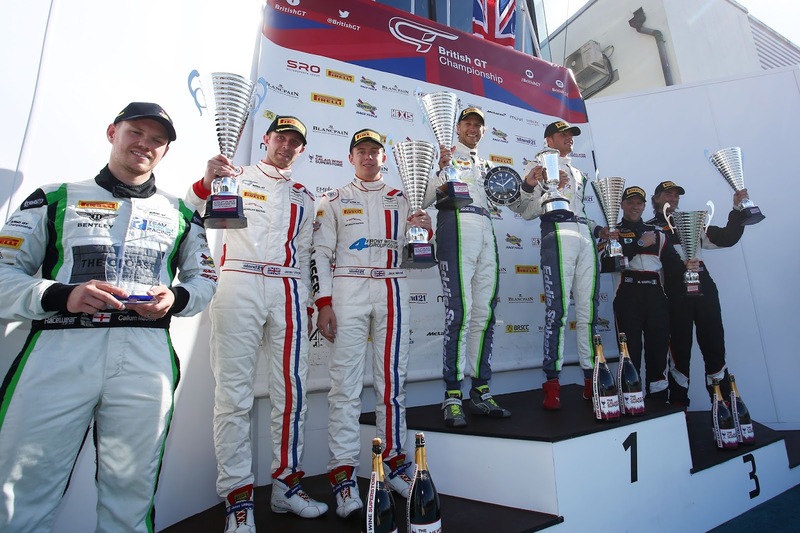 For both AMR GT4 cars, this was a great result as it ended the season long string of misfortune for the #42 and gave the #62 some credit for all their endeavours for undertaking a double header event with another SRO series. For TF Sport, this was another 'difficult' race with both technical issue and racing incident blighting both cars races. 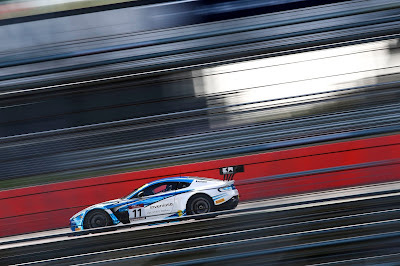 Indeed, Johnston later confirmed at the end of the race that the #1 car had been ruining for much of the race without any power steering - a problem that does periodically blights the V12 Vantage GT3. These cars finished the race in a reverse pattern to which they started it but still valuable points earned. Better luck in France Jonny!! 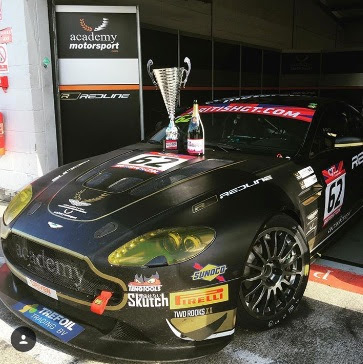 The next round of the British GT Championship is at Spa Francorchamps in early July.